Post removed with agreement from the post owner. Last edited by Veloran; 02-15-2019 at 08:13 AM. I cannot believe that I have been here all this time and have not seen your thread! 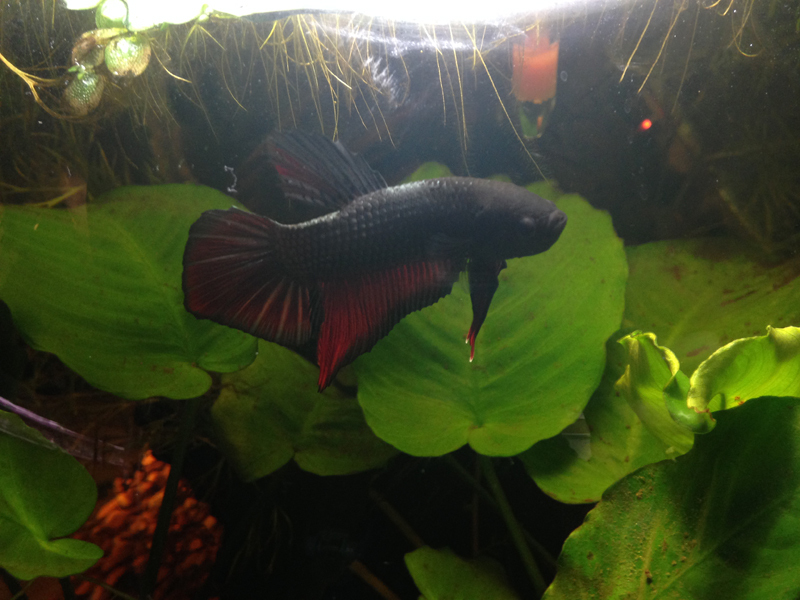 I am loving each and every one of your lovely tanks and bettas, they are all so unique and filled with wonderful color! 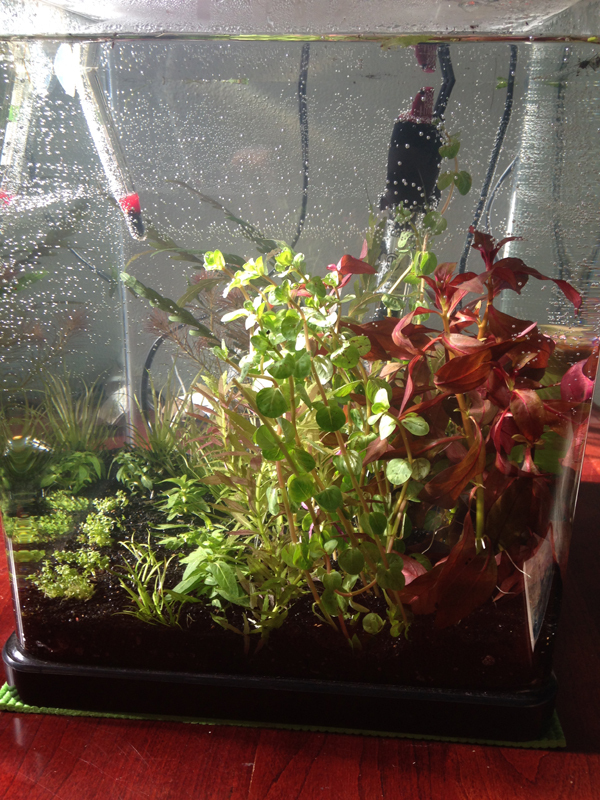 Oh how beautiful those jars and vases are, secretly some of my favorite tanks are vases, mostly because they are oddly shaped from the rectangular tanks I am used to. 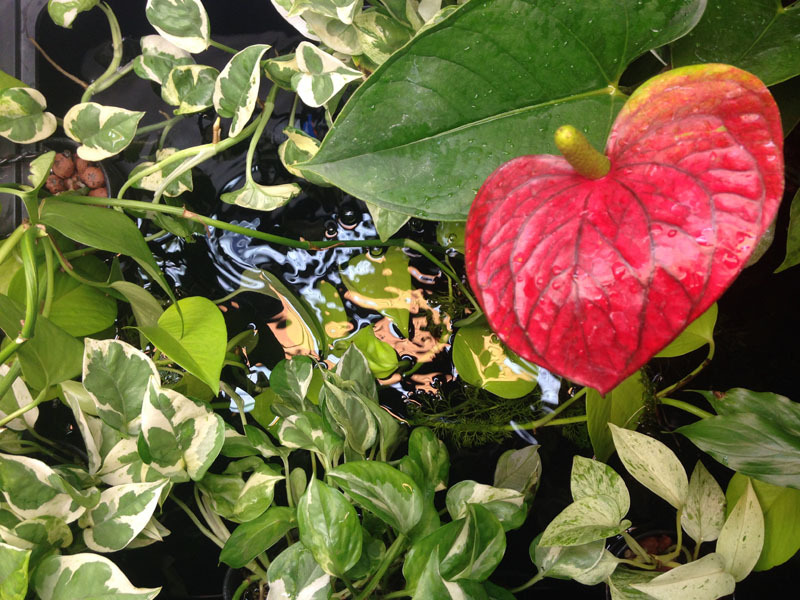 I wish I could grow live plants like that, they are beautiful! he does not hold still for a good photo! 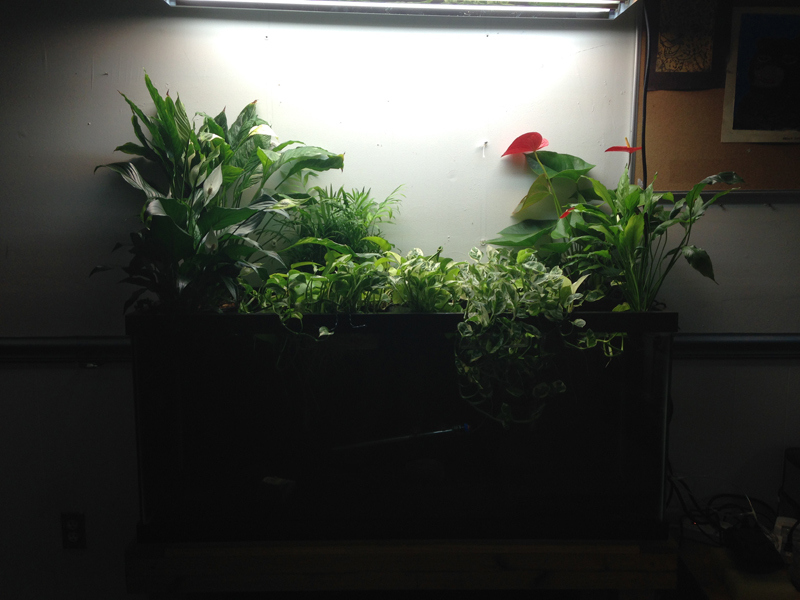 Need to thin out the floating plants they're really blocking the anubias for light now. 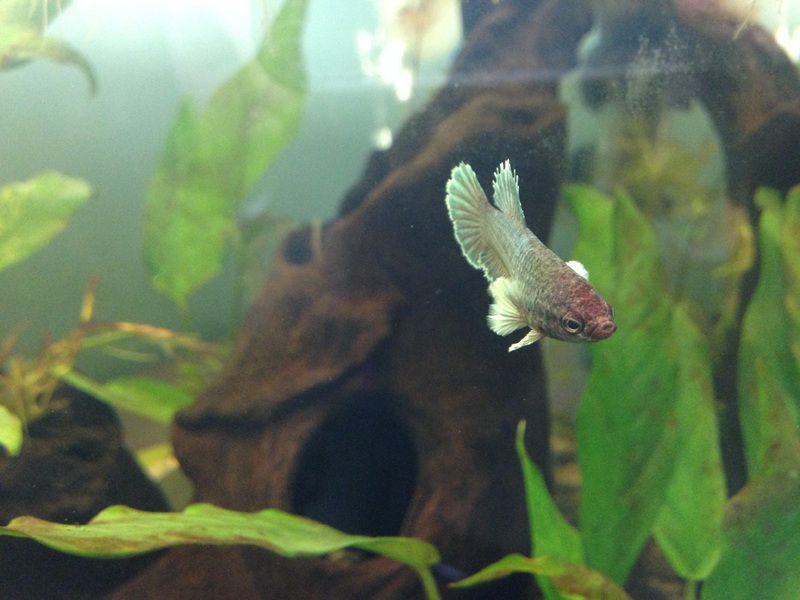 Willow is very curious and likes to flare at me now (no beard-just gills pushed out) still so tiny, have to be careful not to over feed her after feeding the big giant Titan. 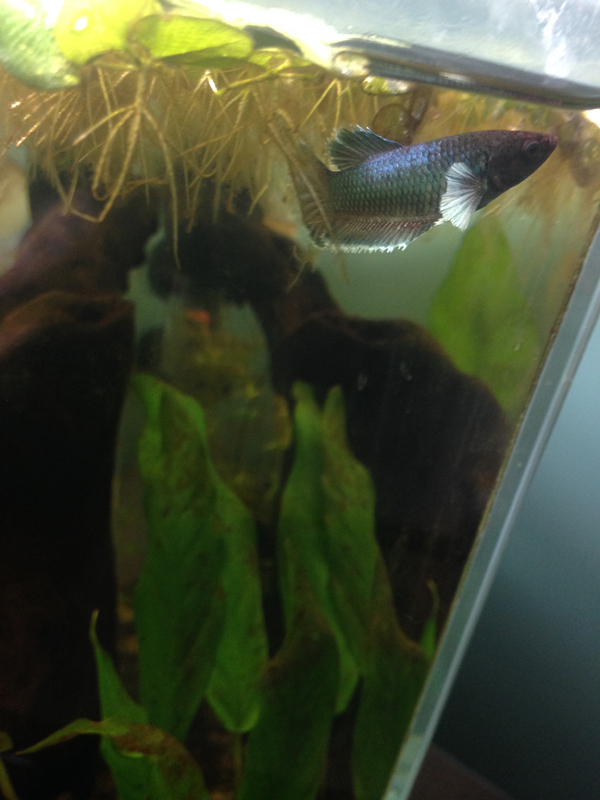 Went to teh smae store we got Willow and Titan from, husband picked out a black and white dragonscale plakat boy. 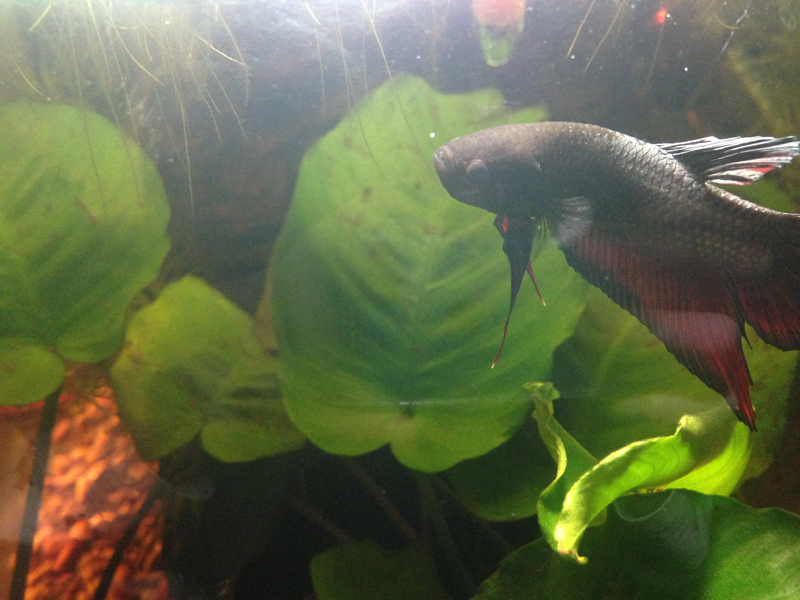 He was very darty at first but has settled in and expores his tank all day or watched my husband work. He's named Smokey. Ignore the colors in his white scales-finnex stingray has some strong red/blue leds that does that. 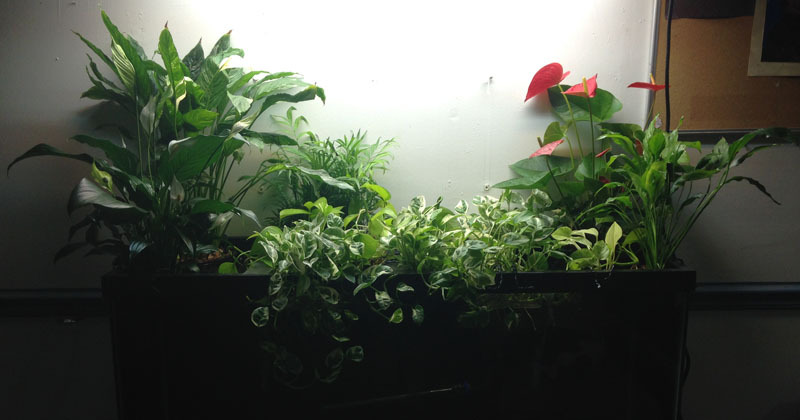 I tossed some pothos n'joy on the tank with a 13watt 6500k cfl bulb and its sucking up the ammonia so all nitrogen params are reading 0. 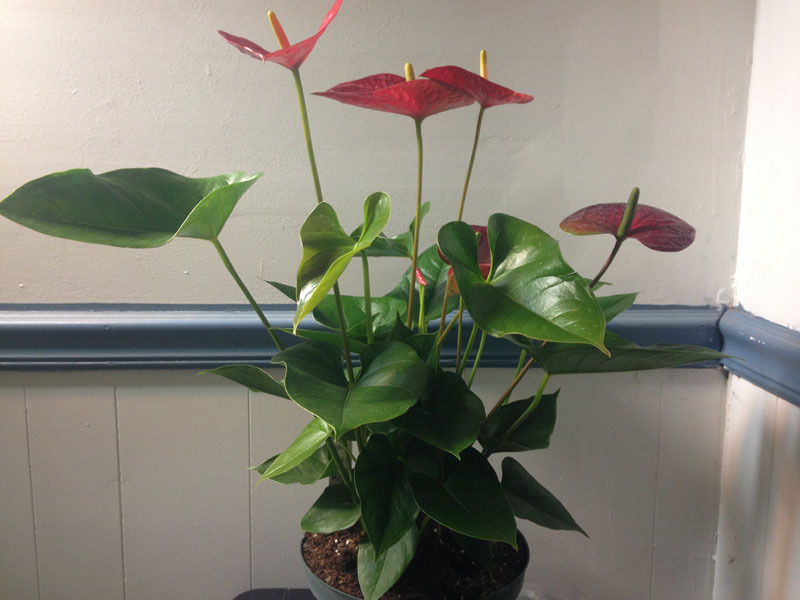 Hadn't planned on adding this plant, but husband spotted a really nice healthy BIG anthurium when we were out so I booted my extra peace lily 'domino' to take the corner caddie. 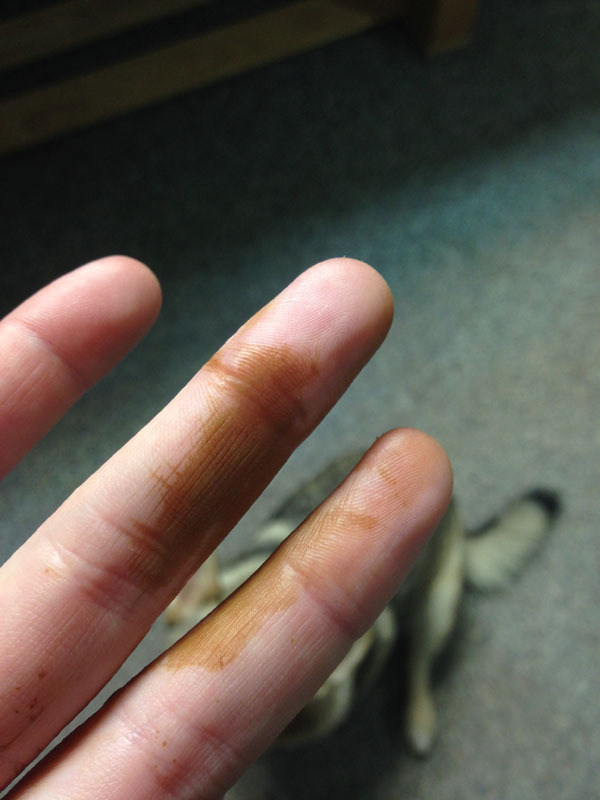 Did a potassium permagnimate(pp) dip after rinsing roots. 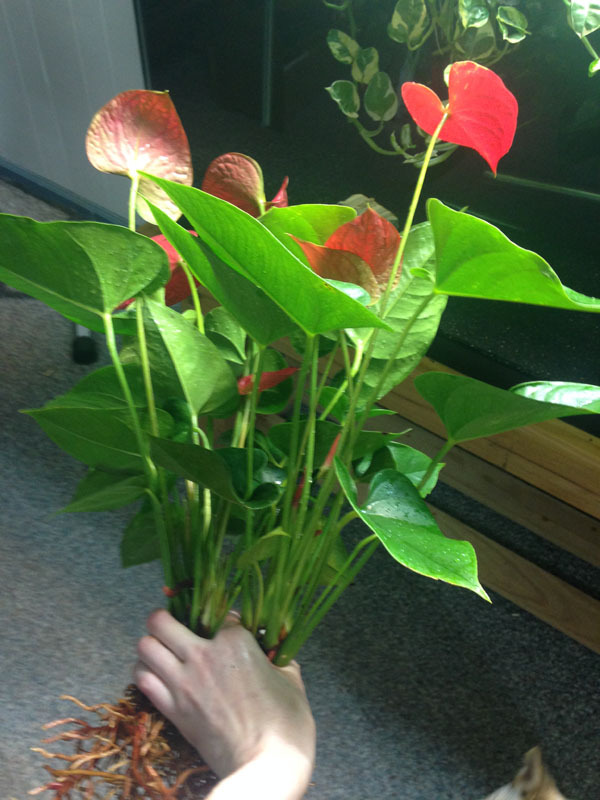 Turns out its 2 huge plants (thought i'd be over 5 smaller ones. 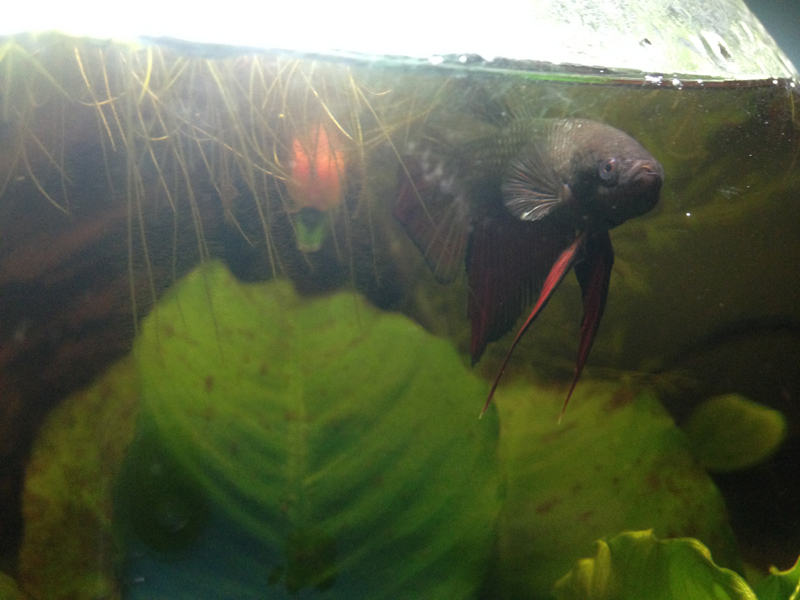 Anyways have a full tank shot (fts) and some close ups. Looking at the photos I realize 1 of the t5 bulbs finally burnt out 9it was an old one) so gotta replace that. 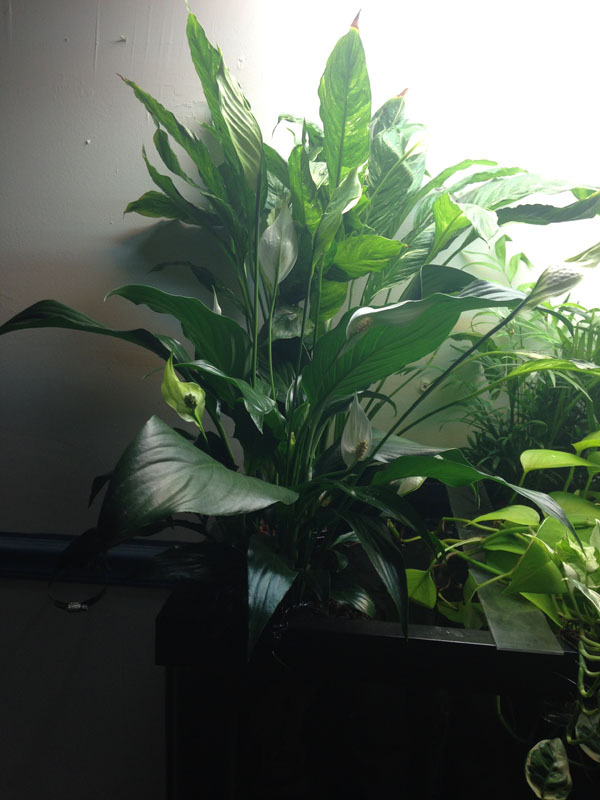 I put the extra peace lily domino up for sale. 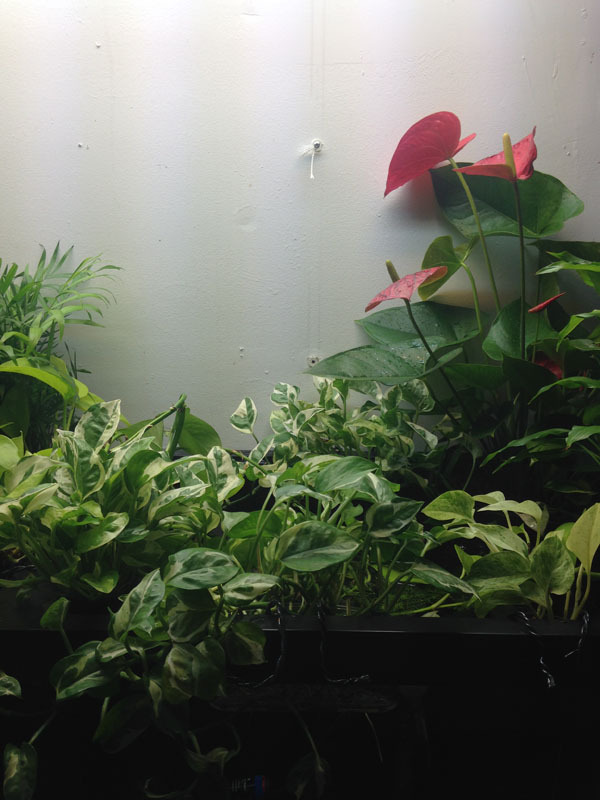 I also have 2 decent portions of pothos n'joy, and can add wired shower caddies and clay media. You can find my thread in the "for sale" section, or pm me if you'd like to buy any of these. Currently the 'domino' is in a pot with water and clay media in the bay windowsill. 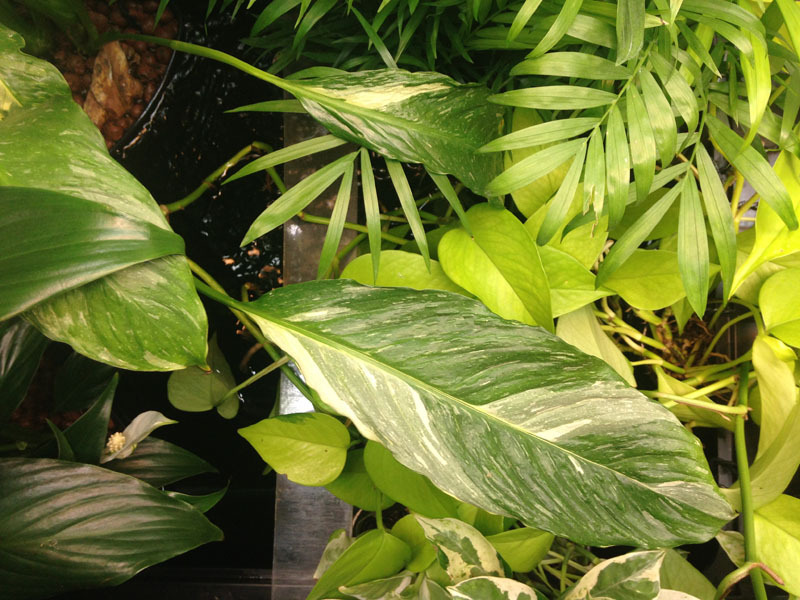 The pothos is on the tank until sold-pothos photos show it in same type of caddie as close up in photo to its left. 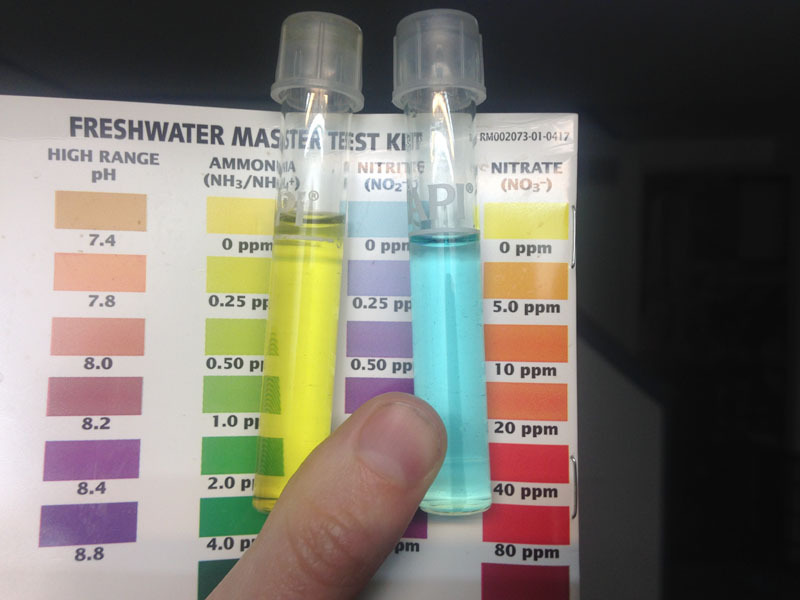 Not much going on-tank still cycled, dosing ammonia every day, water change every 3rd day. Dose liquid ferts maybe once a week. Pothos is taking off and everything is getting roots. I put crushed coral in nylon stockings to raise kh for the future livestock. 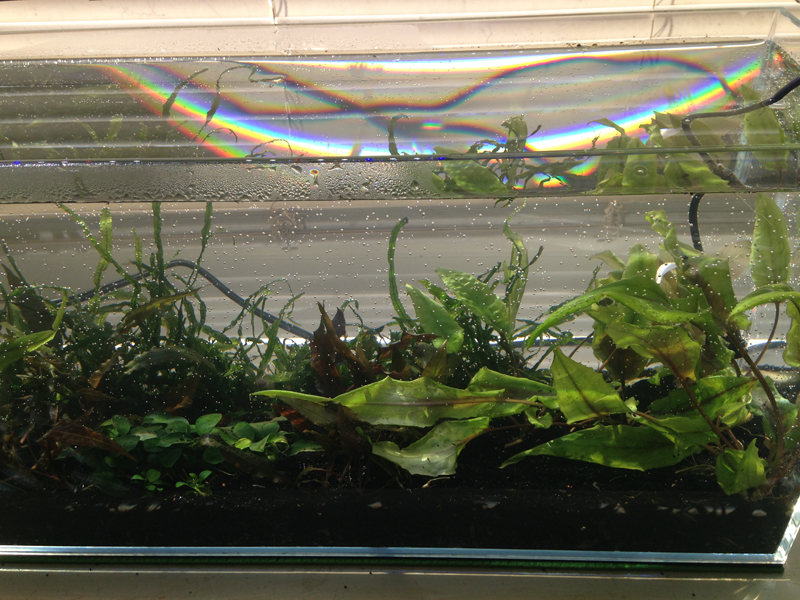 Not shown in photo but my anacharis is pearling pretty much constantly during lights on. Soooo I was bad and went to a website that had some tanks I really like at half price... the MTS (mutli tank syndrome) took over and I bought 2 new tanks.. 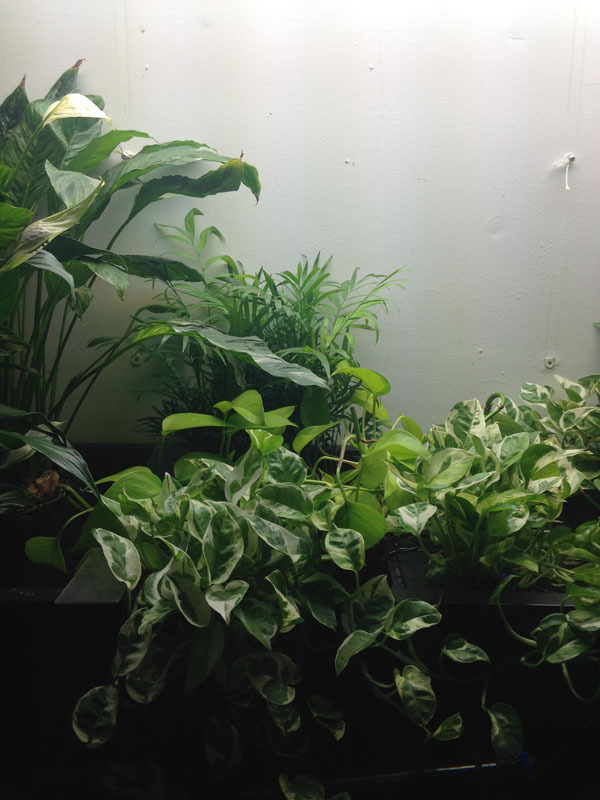 Took about 2 weeks to get plants. 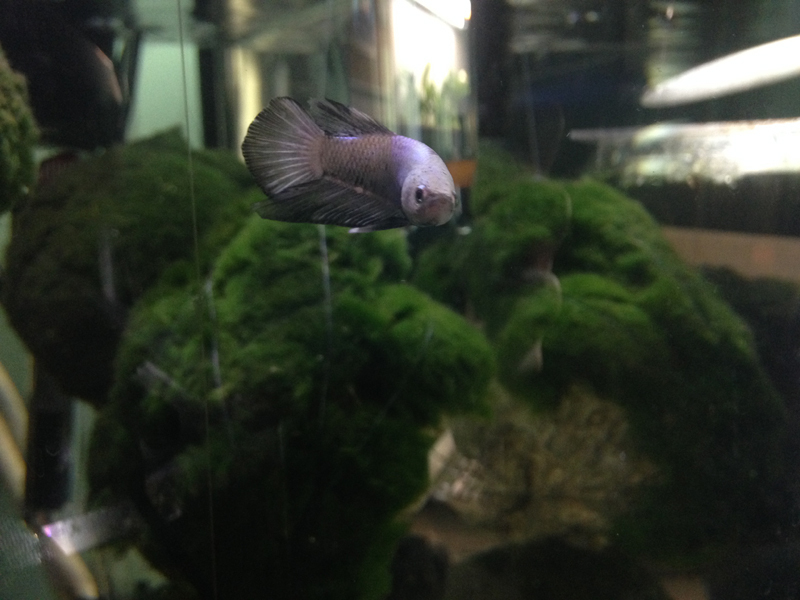 Set up a new dirted tank with black diamond cap more details/photos to come. 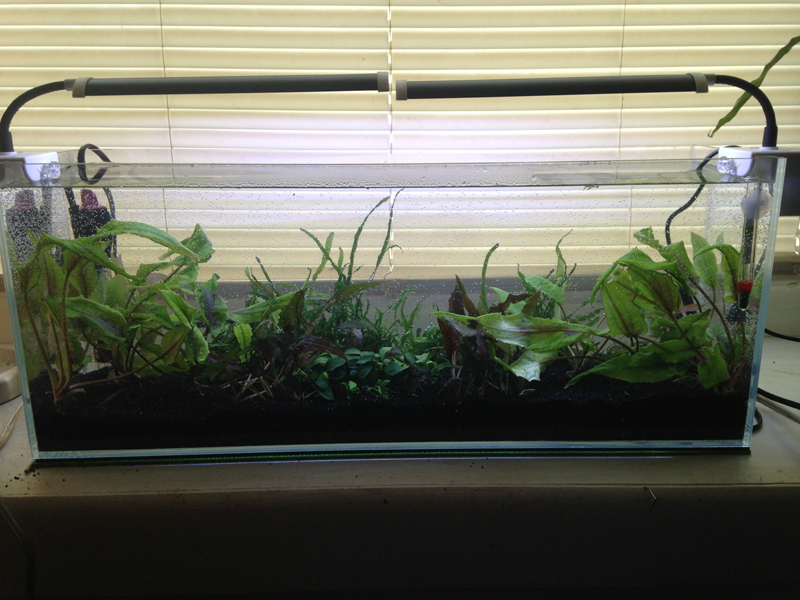 Hopefully everything survives (all new plants). 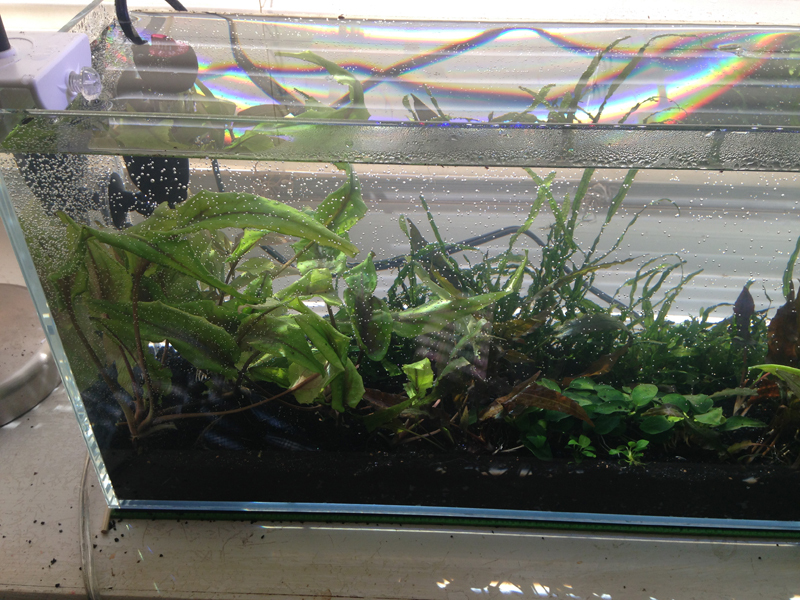 An aquatop nanopionics I only used the tank-still have filter/grow tray/substrate/underwater light if anyone would like that?- higher light plants more direct sun from the glass panes in the front door. Wil ahve to see what survives. 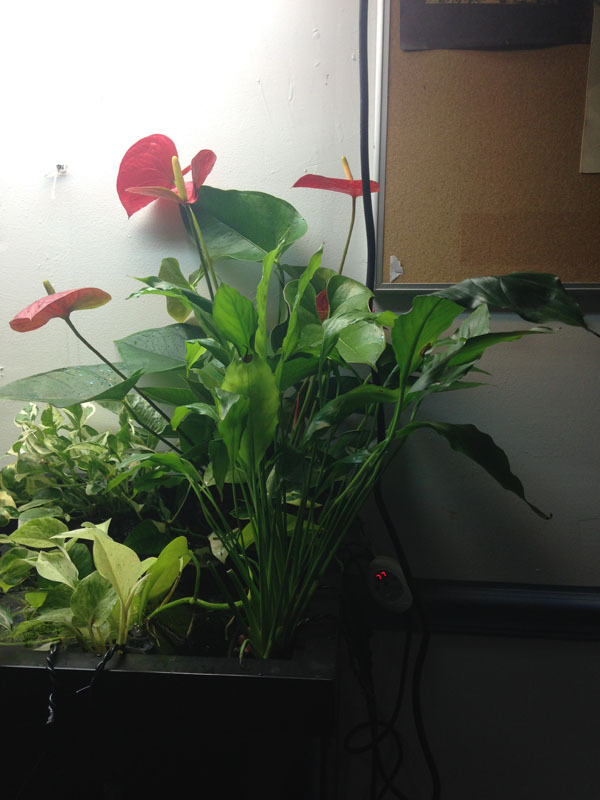 Live plants do take a little work but some are easier to grow than others. They're well worth it IMO. 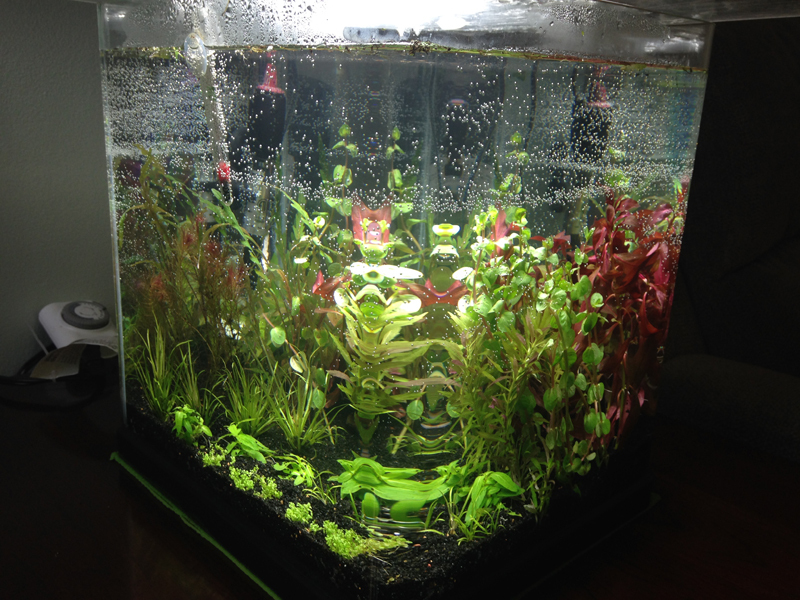 If you want I can go over some basic points for keeping aquatic plants. 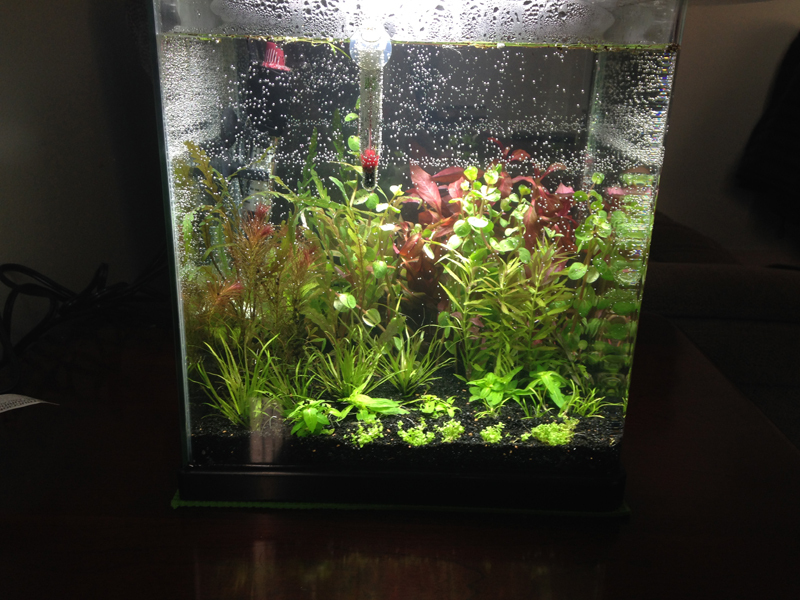 Your tanks are all so gorgeous and lush! Talk about inspiration!